Kinda Art Deco in style. Yes very much so. It looked well out of place there. More typical of the Miami Beach area. Very attractive, but expensive to maintain. One thing I've learned in my old age is you don't really need as big a home as some people "think" they require. Living for 5 months each year in what is basically just one big room in a hotel has taught me that. I travel in my truck and camper for months at a time in Canada and never feel "cramped". It's only if the weather is raining non-stop for a week that I would prefer a little more room. The little home that Bacon posted is well thought out and gets full use of all available space. Proper design and understanding your personal needs is the key. If you have creative hobbies (art, woodworking, fixing old cars, music, etc etc) then it's better to have a separate building for that. Most of the time it doesn't even need to be heated. And, it gets all the "clutter" away if you have guests. It does not cost a whole lot more to design and build something properly in the first place: extra wiring, gas heating stove, solar panels, properly designed shelves, cupboards and closets. Its stone and terracotta ! Daffodils? You're not a gardener, Quarky. Those are tulips. The deer here love to eat them. They ate all but a few of the hundred I planted. But, the deer won't touch anything of the daffodil family. Rockitt and bacwaan like this. 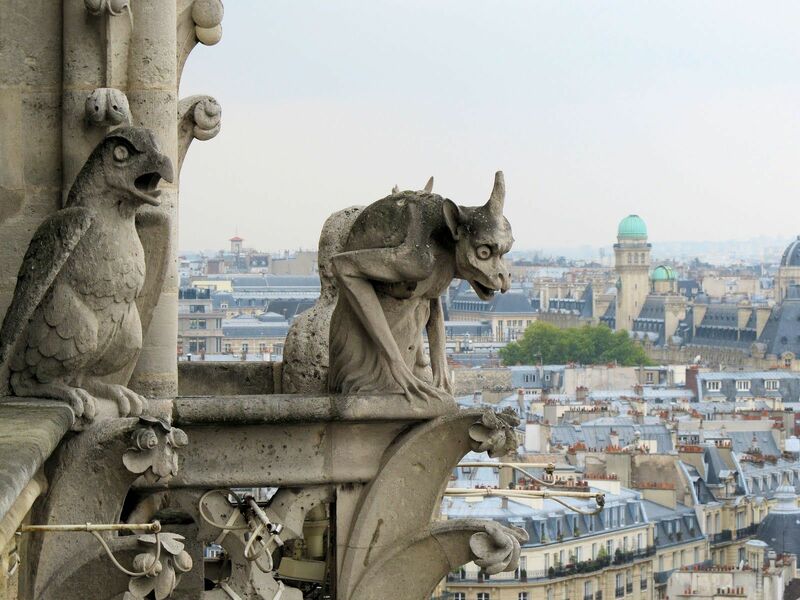 PARIS, FRANCE: The main structure of Notre-Dame cathedral in central Paris has been saved after hours of fire-fighting to put out a devastating blaze, the city's top fire official said late Monday. Rockitt and Stillearly like this. Great job by the firefighters! Bloody sad that it happened, but at least they saved the main structure. I wonder about all the art work inside? As far as the cost of repair is concerned I tend to agree with Paulie. I visited Paris 2 years ago and went to Notre Dame. A magnificent building with a long long history. But I never had a hunch that this could happen.